Nausea and vomiting after breakfast. Thinks should feel better if she could vomit. Nux Vomica suits to thin, spare, who lead sedentary life and who are irritable, disposed to anger, malicious disposition. Thought of food sickens her. Cannot hear the smell and sight of food during pregnancy. Nausea at smell or sight of food. Vomiting of food or bile and lastly milky fluid. The smell of cooking food nauseates her. Bad taste in the mouth in the morning. Vomiting of food or bilious matter. Continuous nausea is the prominent symptom of this remedy. Persistent nausea, not relieved even after vomiting. Vomiting of food, bile (green). Ipecac leads all the remedies for nausea. Incessant nausea during pregnancy. Nausea better by uncovering abdomen. Terrible faint, sinking feeling at pit of stomach. Vomiting of food or sour or bitter liquid. Feeling of coldness in the stomach and nausea. Constant nausea and much spitting. Deathly nausea, accumulation of much saliva and sweat. Nausea at the smell of food. Nausea and vomiting after eating or drinking. Sight of water makes her vomit. Must close her eyes when bathing. Nausea from placing hands in warm water. Great burning in stomach, which is better by cold food and drinks, but as soon as the water becomes warm in stomach, it is thrown up in the form of vomiting. During first month of pregnancy the stomach rejects everything. Constant nausea with loss of appetite. Heart burn and sour eructation, seem to set the teeth on edge. 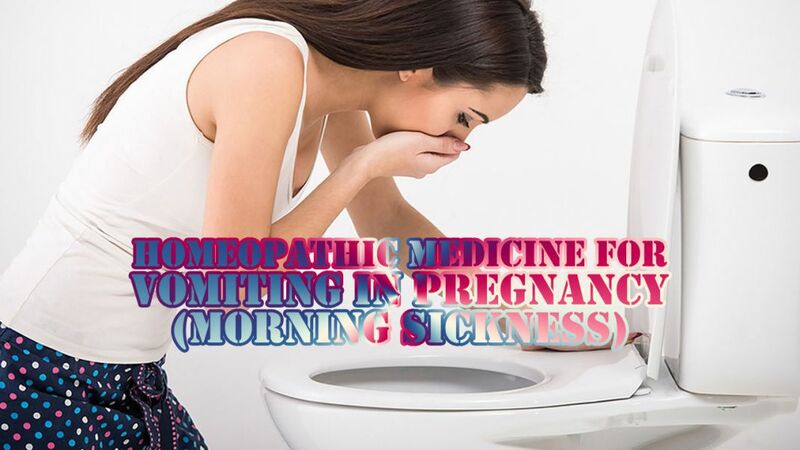 Vomiting of sweetish water or mucus before breakfast. Nausea, vomiting and sleepiness during pregnancy. Great sensitiveness to the smell of food. Nausea and vomiting at the thought, sight or smell of food. Vomiting of bright yellow water. Nausea, constant vomiting of glairy mucus. Burning in pit of stomach extending to throat. Nausea and accumulation of water in mouth in the morning. Nausea with the heat of the face and vertigo. Vomiting of bitter, green substance. Nausea and vomiting, better lying.